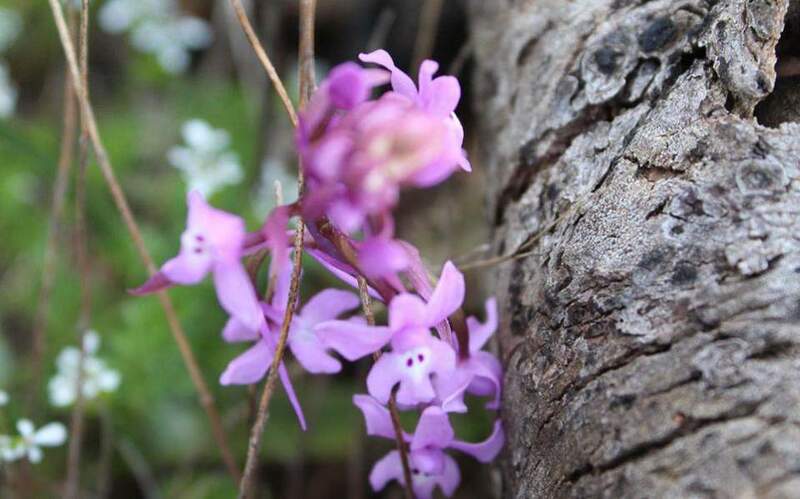 Overharvesting to meet skyrocketing demand in Turkey and elsewhere is placing the endemic wild orchid population in Pindos, northwestern Greece, at risk, according to a team of scientists studying the flowers. A key ingredient for the production of salep, a popular sweet drink, and Turkey's mastic ice cream dondurma, the dried orchid is now fetching prices as high as 90-120 euros per kilo on the black market. “The wild orchids are strictly protected under Greek laws but most people don't know this. Even though our results show that local traditional collection is of a relatively limited extent and scale, in recent years the phenomenon of poaching is increasing, Kalliopi Stara, who heads the team, told Athens-Macedonian news agency (ANA-MPA). “This also concerns other medicinal plants, herbs, edible mushrooms and truffles as a result of global pressure for ‘wild’ and ‘traditional’ products,” Stara said adding that what used to be the food of the poor is becoming food for the wealthy. Stara’s team focuses on the orchids Dactylorhiza sambucina and Orchis mascula ssp. mascula, which are the two types most commonly collected for salep production in Greece. The first is relatively common in Greece and its population is mainly affected by the available open spaces and nearby species, as well as proximity to roads, grazing and overharvesting, she said. According to Stara, traditional orchid collection in the 1960’s was done by hand, using a specially-made small adze, and was a tiresome job that few elected to do. Harvesting started in June when the flowering season was over and harvesters would replace the old bulbs in the soil so they would find more the following year. While ornamental orchids can be cultivated, the same was not true of wild orchids, whose reproductive biology was more unusual, she said. “Orchids are directly dependent on their symbiosis with fungi that live in the soil and support their development in the first stages of life, something that makes their cultivation difficult. In spite of this, many research efforts are underway in Turkey, Greece and elsewhere in Europe,” she said.